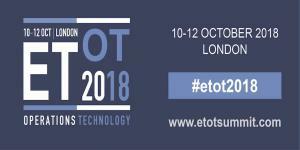 Visit ZE at the 10th Annual ETOT 2018 Summit in London, U.K.
LONDON, UNITED KINGDOM, October 8, 2018 /EINPresswire.com/ -- ZE PowerGroup Inc. (ZE), the leading global provider of enterprise data management and analysis solutions today announced it is sponsoring and exhibiting at the 10th Annual Energy Trading Operations & Technology (ETOT) 2018 Summit in London, U.K. from October 10 – 12. The conference will enable energy trading firms from across the globe to discuss trends and opportunities in this sector, as well as the optimized business processes and technological updates that can improve its overall efficiency. ZE will be represented at the event by Ian Gordon, Director of Business Development, European Markets. Attendees are invited to visit the ZE booth to learn how the award-winning ZEMA platform, can meet the specific data management and analysis requirements of energy traders, risk managers, business analysts and more. ZEMA automatically captures and centralizes large volumes of real-time market data; with over 900 data vendor partners, it contains the most comprehensive collection of ISO information in the industry. It possesses a rich library of analytic formulas, customizable visualization options, and unmatched strengths in curve development and integration. These aspects make the platform particularly attractive for users interested in simplifying end-of-day processes. For more information on the events ZE attends, see the ZE events calendar. ZE is a technology leader providing customers with software and services that transform decoupled and fragile data into streamlined, transparent, secure, and automated business processes. ZEMA, ZE’s award-winning flagship platform, is a comprehensive data management and business process automation software solution. With its unparalleled data library, analytical functionalities, curve management, and integration capabilities, ZEMA offers a modular, end-to-end, automated solution for clients of all sizes, operating in any industry.